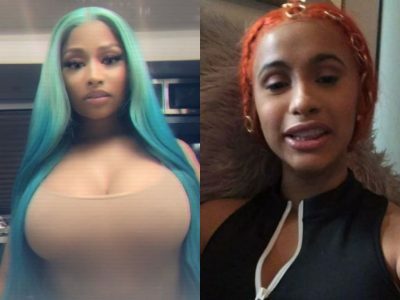 Cardi B And Nicki Minaj pulled out their beef again yesterday starting from Queen Radio comments to Instagram rants, here we highlight five things from the buzz. Before the highlights let’s have a short brief of yesterday’s trending story. 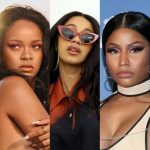 It’s started when Nicki Minaj made series of comments on her beef with Cardi accusing her of stopping bags also, Offset‘s wife didn’t just sit and look she replied with 10 different Instagram posts. 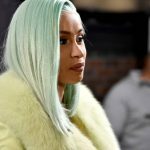 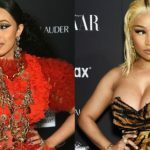 Cardi B revealed in the sixth video she posted asking Nicki Minaj why did her number and Rah Ali‘s got leaked one hour after their altercation at Harper Bazaar Party stating everybody Nicki had issues with numbers got leaked. Nicki however denied she leaked the number. 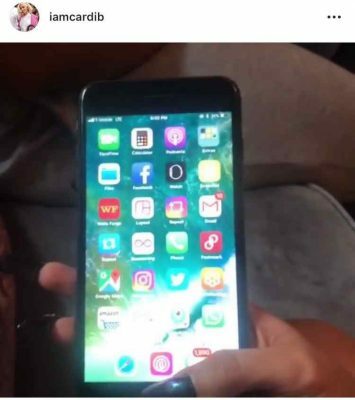 Y’all should not even be in a hurry to get the latest product of Apple even your favourite rapper raking in millions is using an iPhone 6 and might not even be thinking of using the latest, iPhone X. 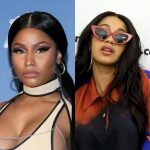 According to Cardi B, Nicki Minaj barked at her management team who also manages G-Eazy because they gave her the ‘No Limit’ record which she [Nicki] rejected at first because she didn’t belive in the song which later went on to become a hit.